This match can be challenging because these two signs have such different ways of relating to the world. Leo may find Virgo too private and cautious, and Virgo will probably find Leo too desperate for praise and attention. Virgo is intellectually focused and somewhat aloof, which can be upsetting for passionate, affectionate Leo. And Leo tends to be noisy, boisterous, and prone to risk taking, which can be stressful for quiet, careful Virgo. One of the most significant difficulties with this pairing is that Leo is proud and sensitive to criticism while Virgo is contemptuous of large egos and compelled to deflate them. Leos may suffer devastating blows to their self-esteem when Virgos make unflattering judgments (what Virgo considers constructive criticism is likely to be perceived as a personal attack by Leo). Leos are also likely to find emotionally reserved Virgos insufficiently demonstrative and romantic. 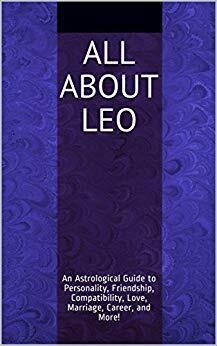 To make matters worse, the typical Leo is more sociable than the typical Virgo and is unlikely to understand Virgo’s need for time alone (Leo may even take this as a personal rejection). In a romantic relationship, Virgo will probably find Leo’s need for attention and adoration perplexing and irritating, and Leo may find Virgo cold or overly cautious. The primary reason why Virgos need solitary time or prefer to spend time with small groups of friends rather than a big crowd is that they are prone to anxiety and thrive in calm environments. Typical Leos, by contrast, are energized by noisy, action-packed environments, so these two may disagree about social activities. Another problem with this pairing is that Leos tend to be emotionally expressive and quick to anger (though also quick to forgive), while Virgos are inclined to avoid conflict (and those who provoke it). This clash of styles can leave Virgo in a chronic state of distress, and Virgo is quick to leave (or at least retreat from) strife-ridden situations. An additional difference between these two is that Leos tend to show their love with grand romantic words and gestures, whereas Virgos typically do so with considerate practical actions and useful gifts. In a positive relationship, this could be beneficial, as both will enjoy doing things for each other. However, in a negative relationship, Leo may find Virgo’s gifts boring and unromantic, while Virgo finds Leo’s presents unnecessarily expensive and useless (a typical Leo is more likely to appreciate gifts of fine food, expensive alcoholic beverages, or luxury items, while a typical Virgo would rather give or receive a practical gift). The success of this relationship will probably depend Virgo’s willingness to be more careful with Leo’s delicate pride and more overtly affectionate, and Leo’s ability to rein in the spending and grow a thicker skin when it comes to taking criticism. In a best-case scenario, Leo will help Virgo lighten up and become less anxious and more sociable, and Virgo will help Leo develop the self-restraint and diligence necessary to do something productive with Leo’s many creative and potentially lucrative ideas. Virgo and Leo often share some common ground in the form of interests and activities that may increase the likelihood of relationship success. Leos tend to be creative and most Virgos enjoy practical crafts or building things, so these two may engage in creative, constructive pursuits together. 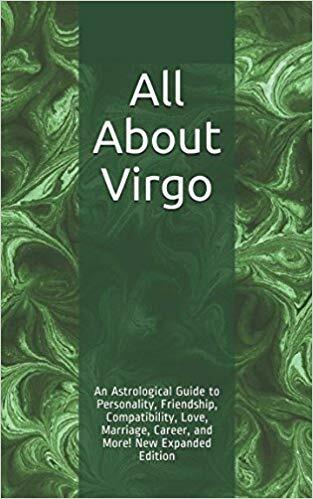 Many Virgos also like home-based activities such as gardening and cooking nutritious food, and Leos tend to have green thumbs and a flare for cooking and baking as well (though they are more inclined to focus on decadent treats than the health-promoting meals Virgos favor). Both signs like to be active, so they may also share an interest in sports or rugged outdoor hobbies. In addition, health-conscious Virgos tend to stay in relatively good shape, which is important to appearance-conscious Leos. If these two have shared interests and other elements in their natal zodiacs are more compatible, this match has potential.